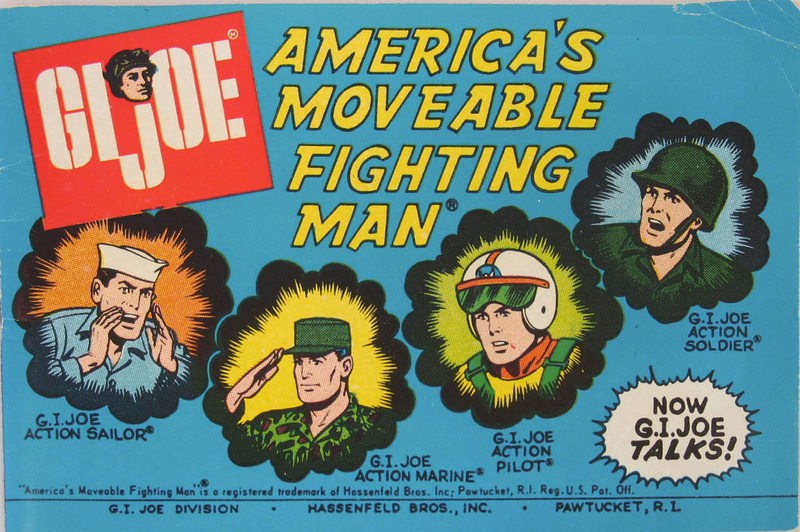 The Talking Action Sailor (7690) was another 1967 release. 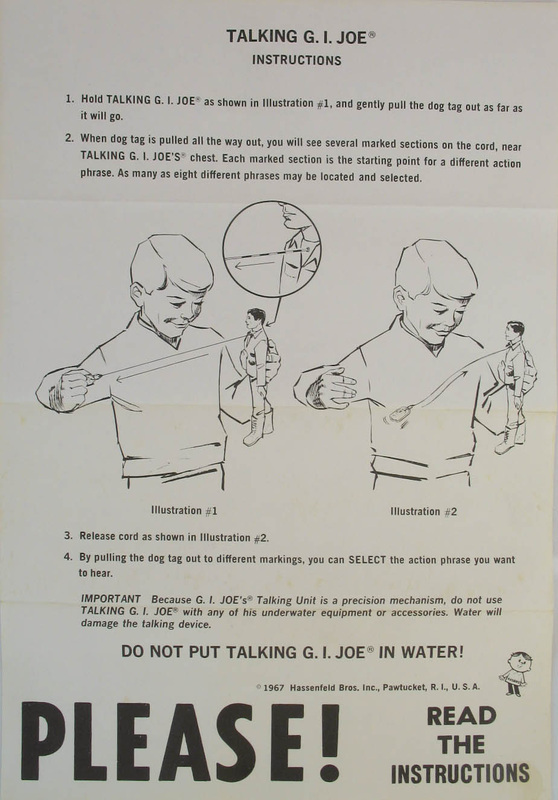 Since the talking mechanism could be damaged by immersion in water, the sailor was most vulnerable to voice loss, especially if kids outfitted him as a Frogman or Deep Sea Diver. 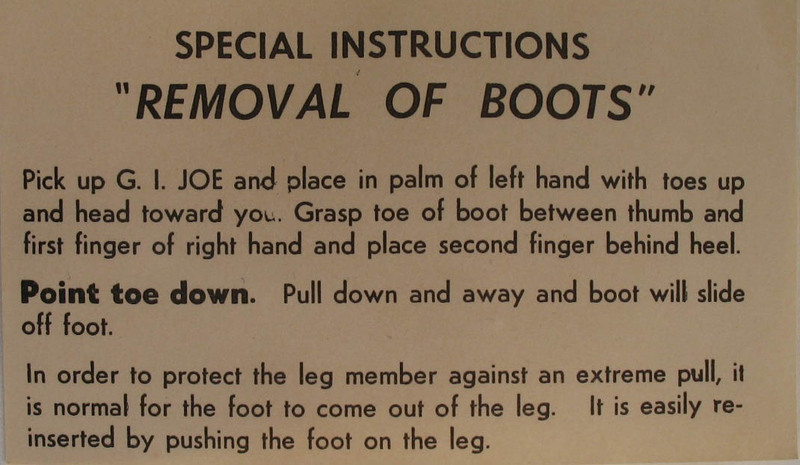 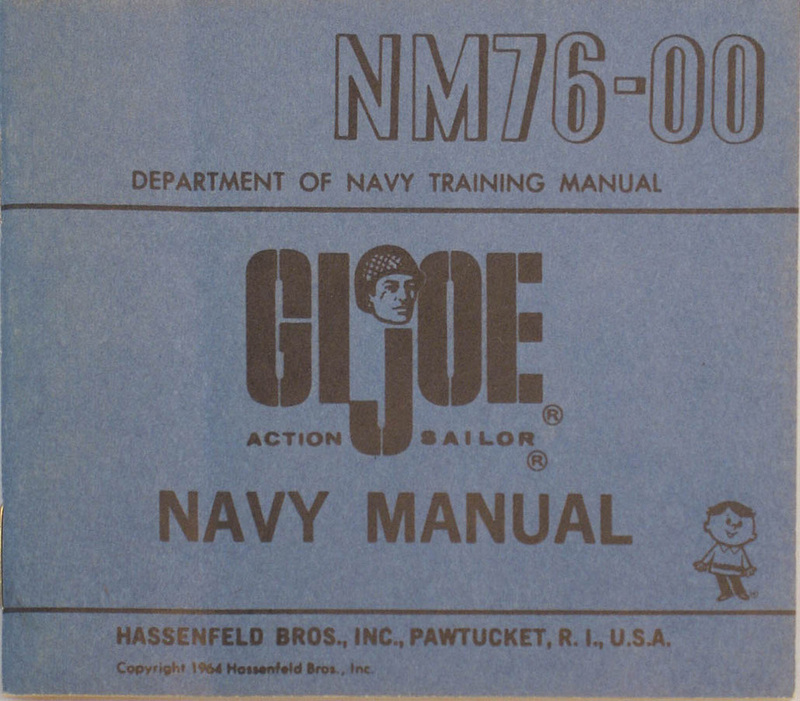 The box contents included lots of paperwork, including the command insert (far left), manual, mini comic, boot removal instructions, and insignia stickers (left, top to bottom) and the talker instructions (below). 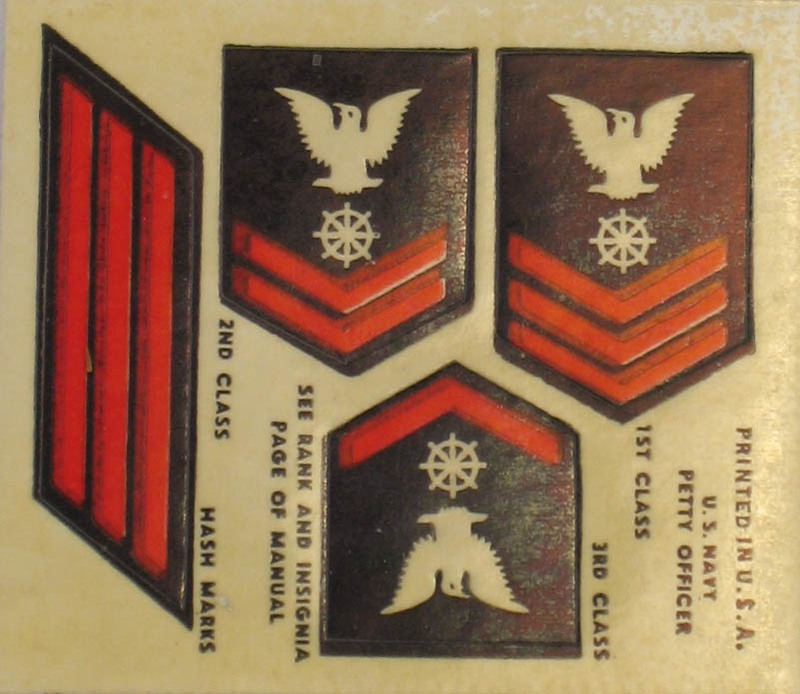 Note that the insignia stickers are formatted differently than those available with the initial releases of the sailor, as seen on this page.